Merchants generate 3% of their total revenue via loyalty emails. 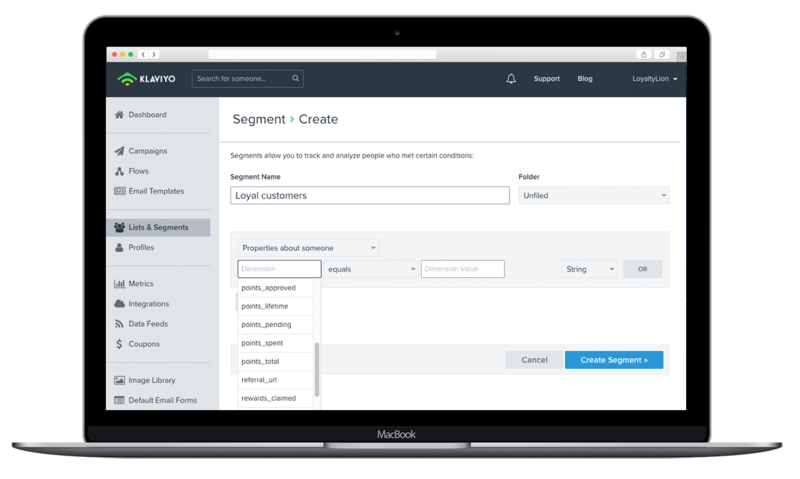 Klaviyo is built on a single idea: using data to drive your marketing delivers better results. The platform makes it easy to pull in important data, use it to personalise your marketing content, target your campaigns, review your results and optimise performance. Using LoyaltyLion and Klaviyo together allows you to send emails that your customers will look forward to receiving. Inform customers when they have enough points for a reward and encourage them to return to your store and repeat purchase. These emails see 10x more returns than generic emails because they are personalised to the individual. 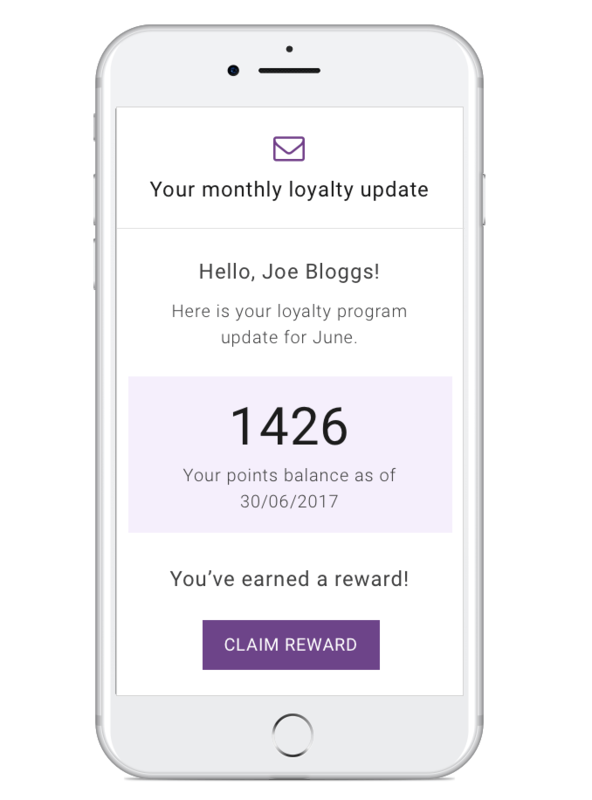 Monthly updates inform your users of their points balance, reward availability, account information and can even provide a referral link to be shared with potential customers. These emails give the opportunity to promote your business consistently and provide timely information on promotions and updates relating to your store. Loyalty program members have a unique referral link to share with their friends and family. New customers are taken directly to your store and shown the refer a friend reward encouraging them to register. 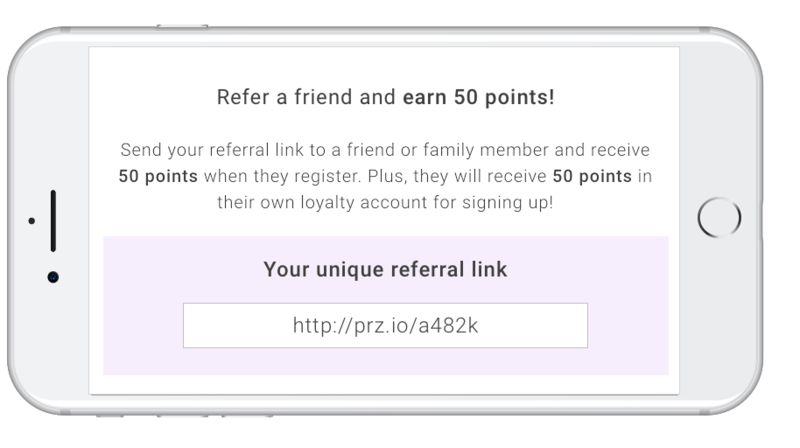 Referral prompt emails remind your existing customers to refer friends to gain points. Send hyper-targeted emails to customer segments, according to whether they are loyal, at-risk, or in need of winning back. Use these in-depth loyalty profiles to tailor the content you create and share. This helps you identify your most valuable customers, increase your customers’ lifetime value and re-engage those at risk of churning. Display loyalty program information and referral links in newsletters and promotions to provide additional personalisation and to encourage repeat visits and purchases.